Immediately after getting engaged, I made a promise to myself. I was going to enjoy the wedding planning process. To soak it in, be thankful for every decision and to-do list item, and not let it stress me out or get the best of me. After all, this is the one time in my life I get to “fret” over flowers, bands, cakes and dresses. And at the end of the day, that should be a joy! 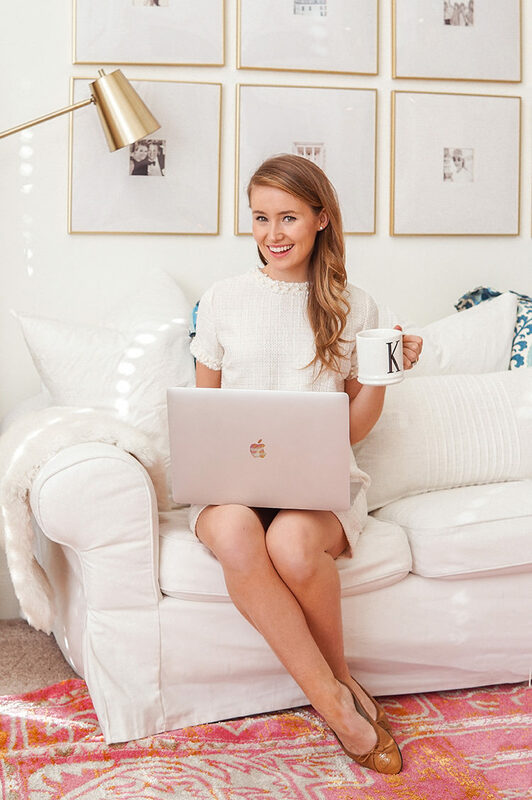 Some things are easier said than done, as we all know, and I quickly realized the secret to enjoying wedding planning, as opposed to letting it completely unravel you, is to stay organized! Let me be the first to admit that I am NOT an organized person. I’ve always had a laid-back, “things will happen the way they’re supposed to” mentality by nature… a definite 9 on the Enneagram scale through and through. And as that’s been wonderful for navigating the ups and downs of day-to-day life, it is not your friend when planning a wedding! 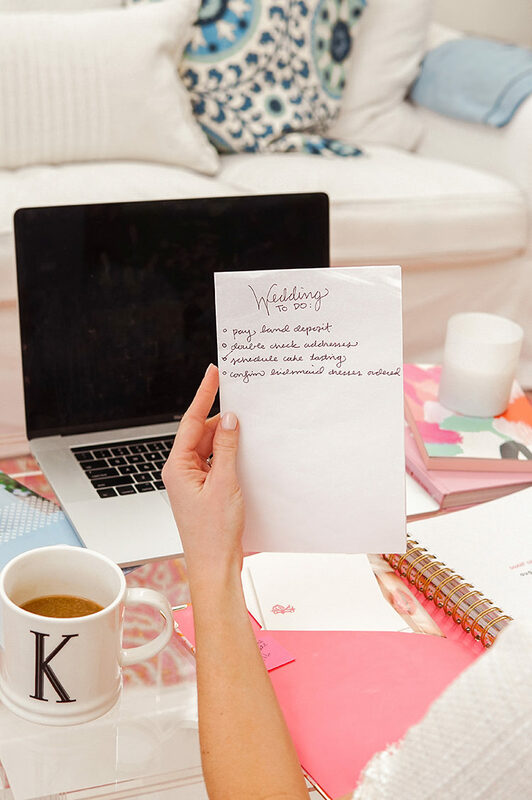 So today, I wanted to share a few thoughts in partnership with WeddingWire on how to stay organized during wedding planning. 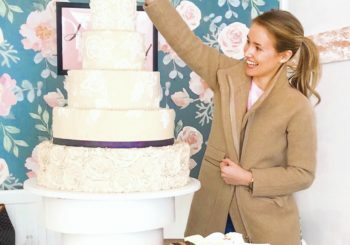 These are tools and tricks I’m using that have added structure to my unorganized planning mentality, and in turn, made for an incredibly enjoyable, fun-filled wedding planning experience! Right out of the gate, I realized the wedding planning process was going to involve a lot of emails. 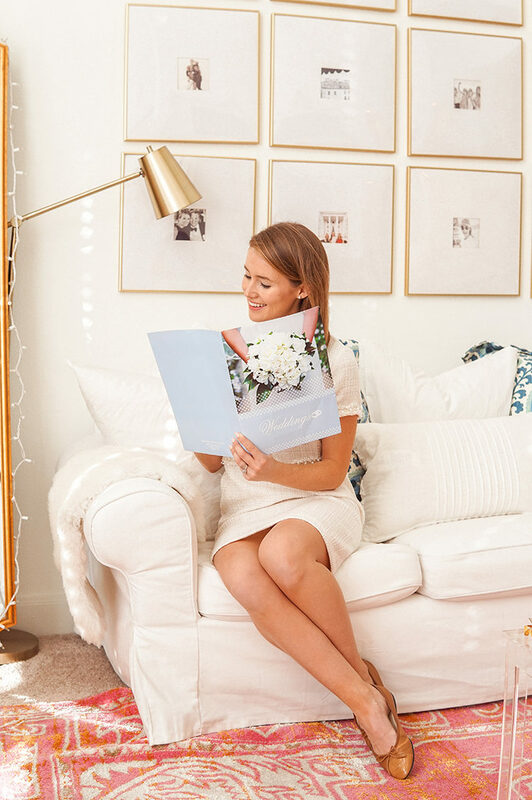 From reaching out to vendors to sending ideas to my mother to coordinating wedding parties and so much more, my “wedding mail” quickly started to overtake my personal inbox. Every time I opened it up, I would feel overwhelmed instead of excited. That’s the opposite of what we’re going for! The beauty of this online checklist? It offers suggestions, according to how many months out you are, for what to accomplish and when. The best part, though, is that it enables you to create customizable tasks for every stage of your wedding planning journey! Check off what you finish, plan for what’s ahead, and see it all online no matter where you are. Budgeting is one of the most important parts of wedding planning, y’all. If you have a budget, it can make your life so much more straightforward. If not, things can add up without you even realizing! The budget tool allows you to track your spending (key), customize the numbers and even schedule payments. Before I started wedding planning, I had no idea how many incredible vendor options there are out there. From flowers to dance floors and everything in between, comparing services and managing it all can get overwhelming! That’s why the vendor manager has been such a blessing. It allows you to manage and remember all of your vendor details, save notes about each vendor, compare prices, save contact info and even message vendors! Fun fact… I decided to look for a different wedding band a few weeks ago, and was able to message so many other options through this tool to check availability! These are just a few of the many, many tools and resources available via WeddingWire. I can’t wait to share more about the platform. and how I’ve loved using it to plan my big day, soon! 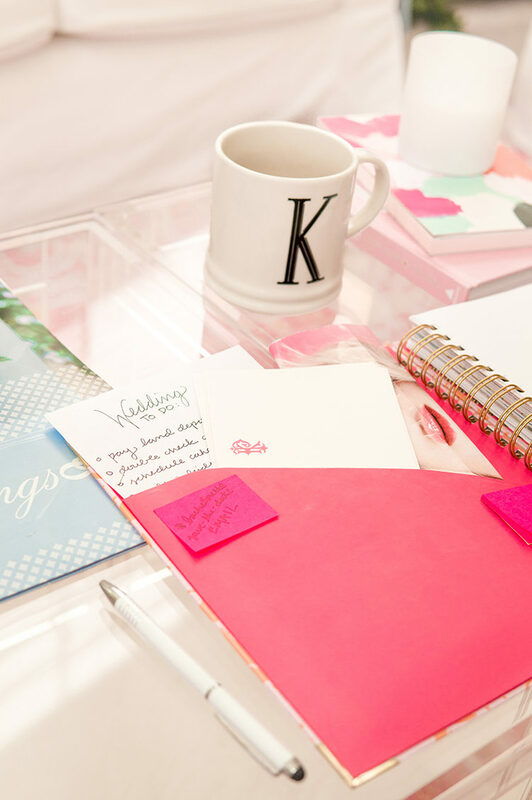 Let me tell you… using my Sweet Caroline Designs planner has been a lifesaver in terms of staying organized. There’s a little pocket at the front where I store all of my printed materials (brochures from vendors, reception floor layouts, song lists, quotes, etc) and tons of blank, lined “note” pages at the back where I’ve scribbled notes on every wedding vendor call, in-person meeting, and random idea that’s popped into my head. Having it all in one notebook, as opposed to papers floating all over the place, has been incredibly peace-giving. I highly recommend finding one single, dedicated notebook for storing all of your wedding details, ideas, and appointments! I know this may seem random, but Thursday recap meetings are a tradition my mom and I started accidentally, and have found to be invaluable to our planning process ever since! Why? It started because Thursdays seemed to finally be the first day out of the week we had time to take a breath. I would go over to take a long walk with my mom, and on it we’d survey everything we’d accomplished the three days before, and everything that needed to be done in the week ahead! I highly recommend taking an hour or so every Thursday to have a little recap meeting with yourself or whoever else is involved in the planning to “get your bearings” and look at where you are in the planning process. Thursdays are the perfect day, since you can see what you accomplished that week, and make a game plan for what you want to knock out over the weekend and the next week! Make it fun and incorporate coffee, a walk, wine or all of the above! Trust me. Take photos of everything. And then save them all into a “Wedding” album on your phone! Whether you’re choosing a wedding dress, bridesmaid dresses, flowers, table settings or anything else, take. photos. of. it. all. With all of the different meetings (you may go to five different florists, for example) options, and decisions to be made, it is so helpful to be able to pull up photos instead of relying on memory. This was particularly helpful in deciding on my dress! I would think I had found “the dress,” only to go home, look at photos and realize I hated the way it photographed, or looked from the side, or showed in a certain light, etc. Even if you don’t think you need to, take a photo anyway and thank me later! 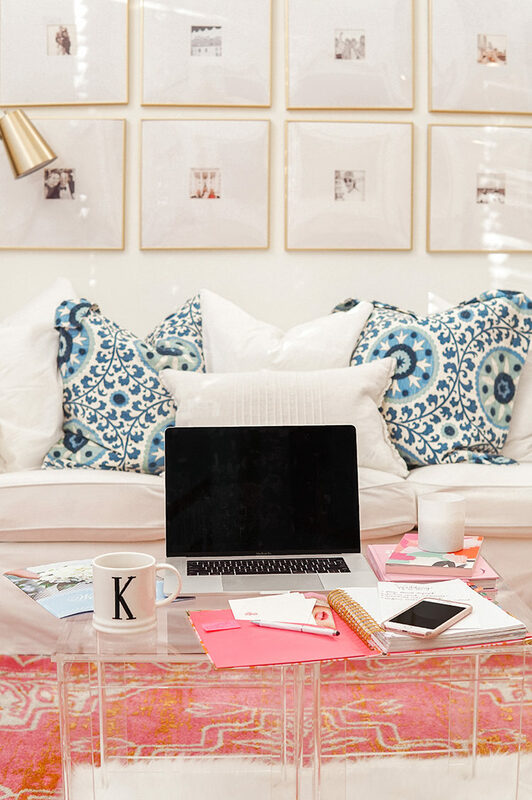 These tips are ones anyone can use, regardless of budget! 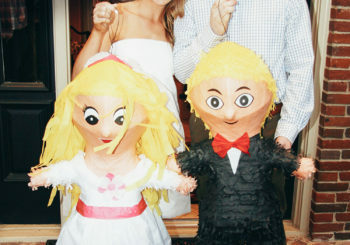 And I feel strongly that if implemented, they will make your wedding planning experience efficient, memorable and fun. Since I’m still in the thick of it, I would absolutely love any tips YOU have for staying organized during wedding planning! Share your insight in the comments below! These are such helpful tips, love how organized you are! My sister is engaged and I’ll have to share your blog with her! These seem so smart Kate! When I’m engaged someday I think I’m definitely going to make a separate email like you did- so smart! I love that dress!!! Do you mind me asking what size you ordered/if it runs true to size? Yes! Every time I see this post, I always admire her dress! Love these tips! I’m now only a month out and having a binder with everything including a spreadsheet of dates vendors needed to be paid off has been a lifesaver! Good luck! Kate I love how you’re taking such a positive approach to wedding planning! I believe it is such a sweet time in your life and I absolutely love how you are embracing it. Can’t wait to see all the photos of the wedding, I’m sure it will be gorgeous! Love this! I recently got married, and one of my biggest tips would be to work backwards in your mind! I’d picture myself on my wedding day and walk through the day in my mind, taking note of everything I was seeing and doing – this was insanely helpful in remembering to do those little things that often fall through the cracks on bigger wedding to-do lists (ex., ordering two separate lunches for delivery to where the girls and guys were getting ready, making sure I had vendor tips separated into envelopes in my clutch on wedding day to hand off to vendors, etc). Congrats to you and Andrew, so happy for you two and so excited to see how your big day comes together!